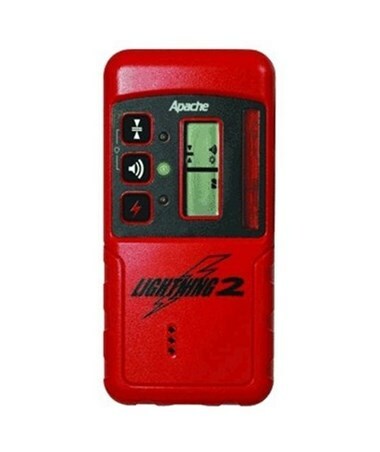 The SECO Apache Lightning 2 is a high performance laser detector designed to receive invisible laser beams as well as visible red beams from rotary laser levels. It features an easy-to-read dual LCD and LED displays and includes a snap-in rod clamp for fast switching from rod-mounted to handheld applications. 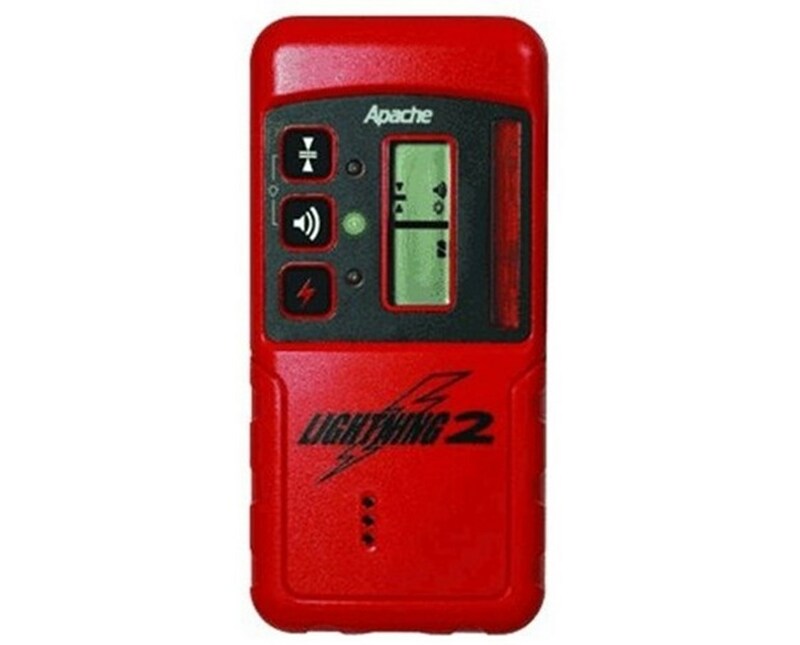 This laser receiver also has four on-grade sensitivities, 11 display channels, a loud speaker and strobe rejection to eliminate interference on the jobsite. Plus, it works within a range of 1,500 feet (450 m). 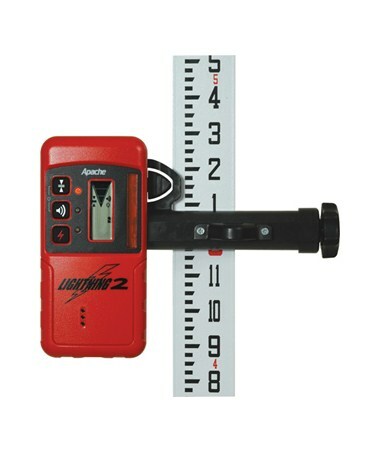 Featuring two LCD displays on the front and rear, the Lightning 2 offers easy visual indication of detector status and grade information. Bright, multi-color LEDs on the front also provide additional visual indication of grade reference. This SECO laser detector allows you to get on-grade faster on a wide variety of job requirements with its four accuracy levels – zero, fine, medium and wide. 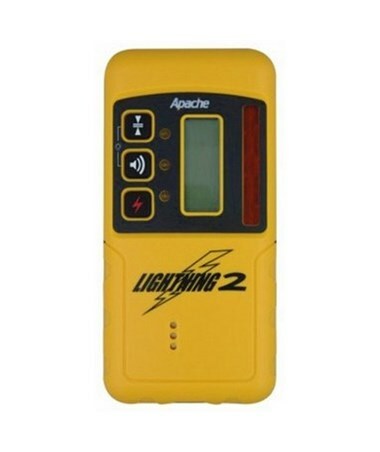 With built-in strobe rejection technology, the Apache Lightning 2 detects strobe lights and rejects their input on laser reception and detector displays. It is also equipped with a loud beeper that emits an audible tone that indicates on-grade, high or low. The included general purpose clamp is designed to mount this laser detector on round, oval, square and rectangular rods, as well as various sizes of wooden staffs. 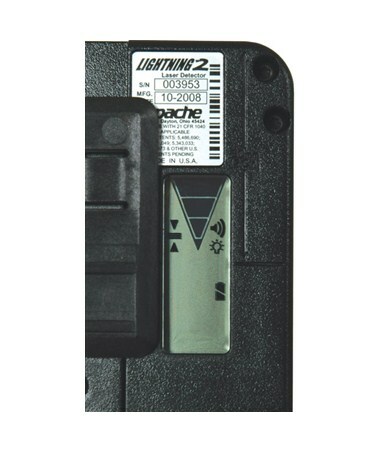 Designed for use in harsh construction environments, the Lightning 2 features an IP-67 rating for dust and water protection. It also has an impact resistant housing and works up to 70 hours using two AA alkaline batteries. This SECO laser receiver package comes with a rod clamp, batteries and 2-year manufacturer’s warranty.